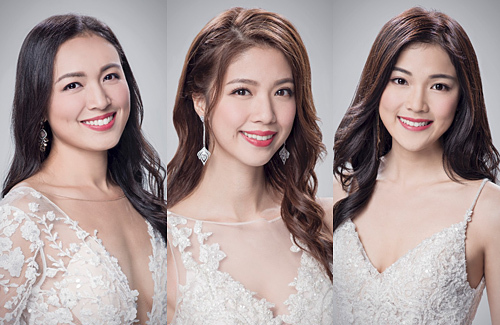 TVB released official portraits and profiles of the 19 contestants of the upcoming Miss Chinese International 2019 Pageant. With the international competition, will Hong Kong’s Hera Chan (陳曉華) be able to repeat her success on winning the crown on finals night? The only one that seems cute to me is that Jovane Phang? Is it just me or most of them are looking damn old below 30? lol haha damn…. I agree with you that JP is the cutest & most of them look older for their ages. I also think their dresses are too revealing. these are some pretty big girls and they look old… perhaps bad pic? @m0m0 Bad makeup mostly. And too much photoshop. None of them strike me as truly exceptionally beautiful. None of them look like a star nor with charisma. Hopefully some of them can at last act. 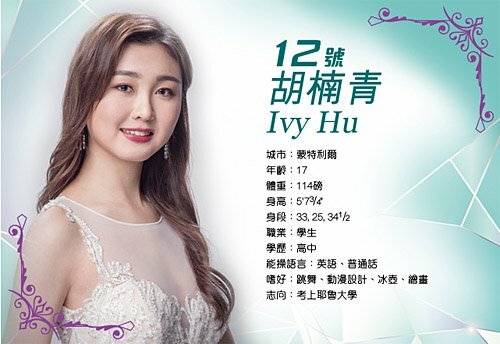 It is rather strange to learn that # 16, Sylvia Zhu, a contestant from Sydney (a English-speaking country), only has Putonghua as her language skills, and not even English. She claims that she is a university student.